Currency became worthless with kids using it like Lego bricks. 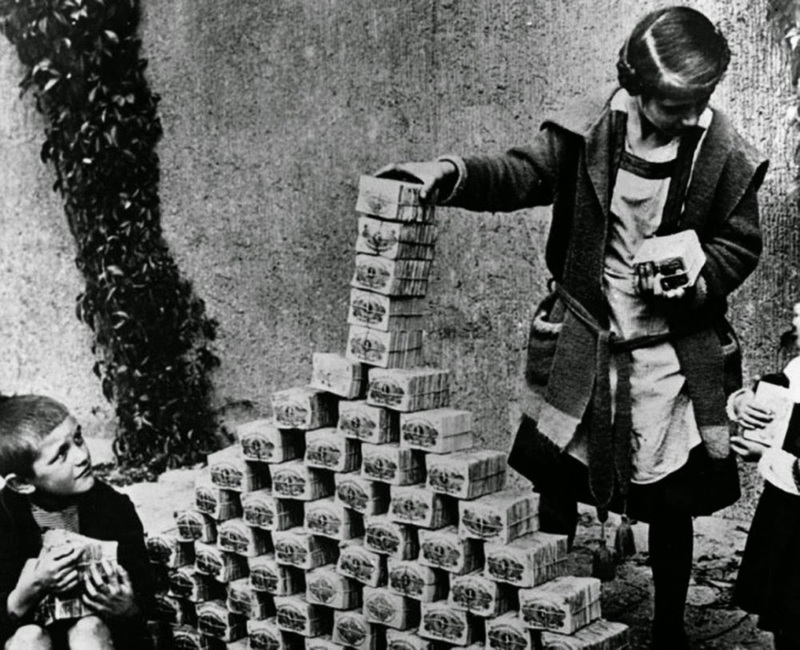 Post First World War Germany was hit by one of the worst cases of hyperinflation in recent history. The German mark fell from 4.2 marks to the dollar to 8.91 marks per dollar during the First World War but paying war reparations caused an economic collapse with the exchange rate rising to 4,200,000,000,000 marks per dollar by the end of 1923. The rate of inflation was 3,250,000% per month. Prices for daily commodities doubled every two days. Currency became worthless with kids using it like Lego bricks. 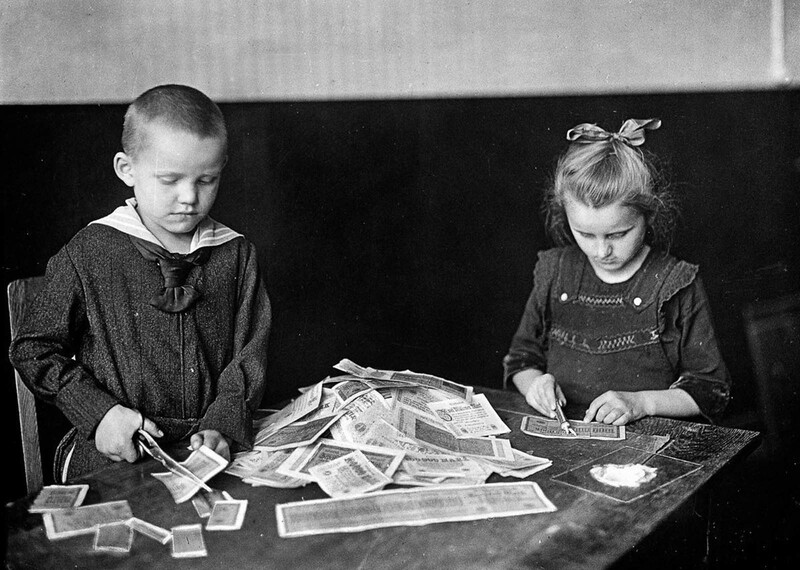 During hyperinflation period it was cheaper to burn money than to buy firewood. By mid-1923 workers were being paid as often as three times a day. Their wives would meet them, take the money and rush to the shops to exchange it for goods. However, by this time, more and more often, shops were empty. Storekeepers could not obtain goods or could not do business fast enough to protect their cash receipts. Farmers refused to bring produce into the city in return for worthless paper. The requirements to calculate and recalculate commercial transactions in the billions and trillions made it practically impossible to do business in paper Marks. Millions of middle-class Germans, normally the mainstay of a republic, were ruined by the inflation. They became receptive to rabid right wing propaganda and formed a fertile soil for Hitler. Workers who had suffered through the inflation turned, in many cases, to the Communists. 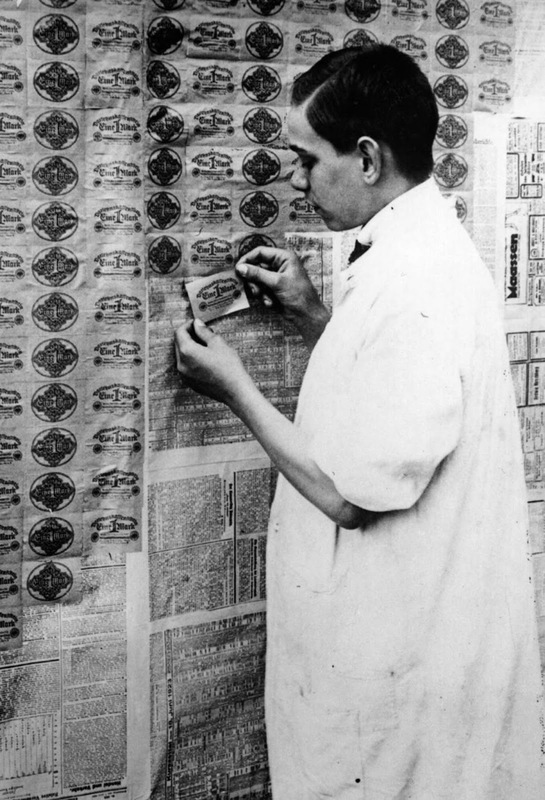 When a new currency, the Rentenmark, replaced the worthless Reichsbank marks on November 16, 1923 and 12 zeros were cut from prices, prices in the new currency remained stable. The German people regarded this stable currency as a miracle. The Rentenmark was introduced at a rate of one Rentenmark to equal one trillion old marks, with an exchange rate of one United States dollar to equal 4.2 Rentenmarks. The currency lost its meaning. A wheel barrel became a wallet. (Correction: the second picture is captioned wrong and the man is not from Germany. The correct caption: “Employee pushing wheelbarrow of mutilated currency, US, 1910”). Children play with virtually worthless marks. 1922. 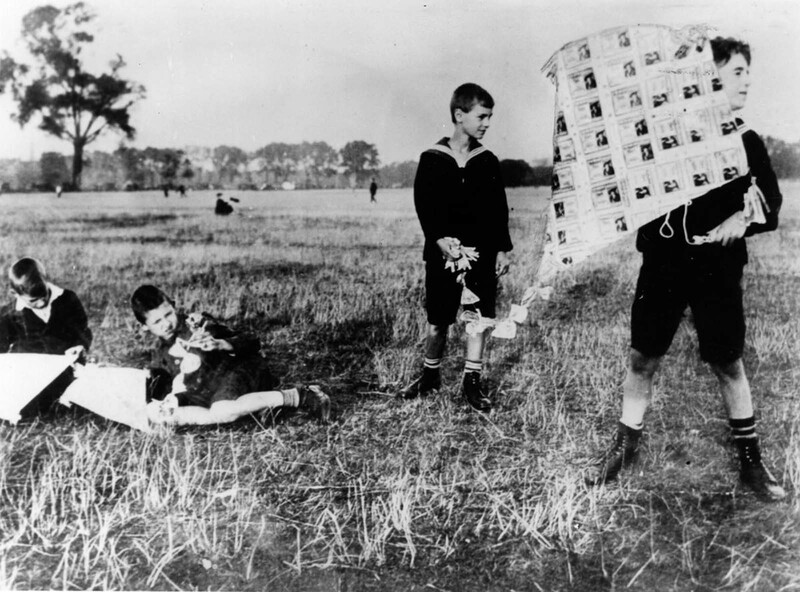 Boys fly a kite made of banknotes. 1922. 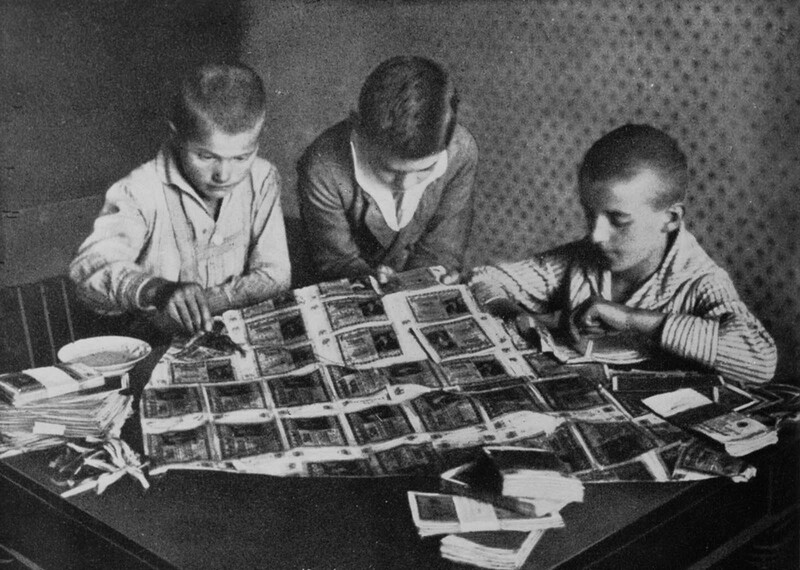 Boys use worthless banknotes for arts and crafts. 1923. 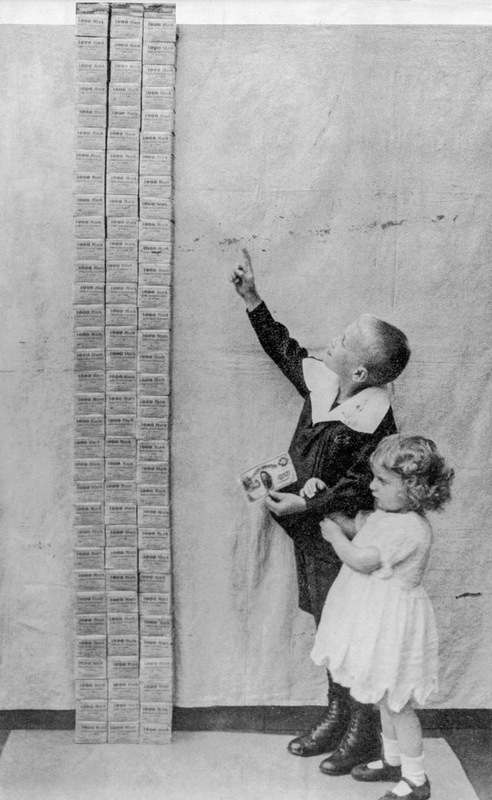 Children stand next to a tower of 100,000 marks, equal in value to one US dollar. 1923. It’s usual for economic professors to tell a hyperinflation story to their students: A gentlemen had gone to a store to buy groceries and had brought his money with him in a wheel barrel. He was distracted somehow and left his money and wheel barrel unattended. When he returned he found the pile full of money still there, his wheel barrel however was nowhere to be seen.